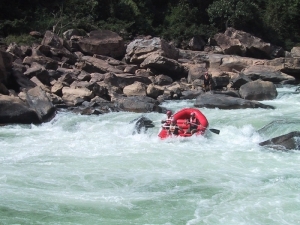 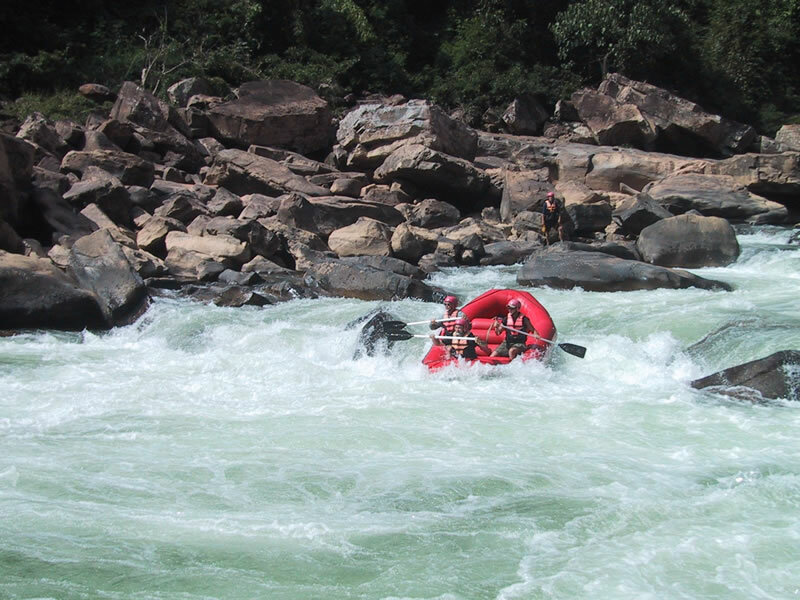 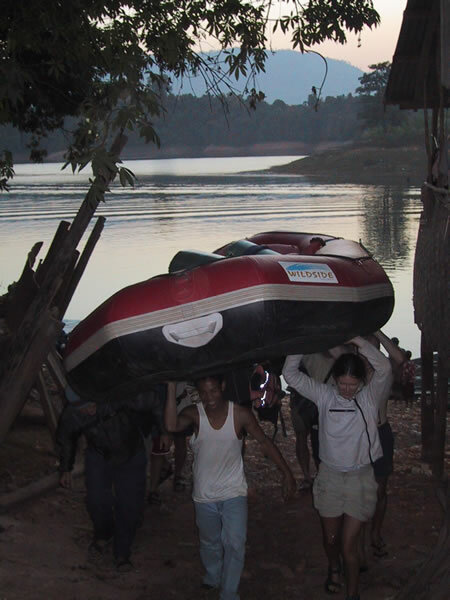 These are from the two-day whitewater rafting trip I took with Wildside…an ecotourism and adventure trekking tour organizer in Laos. 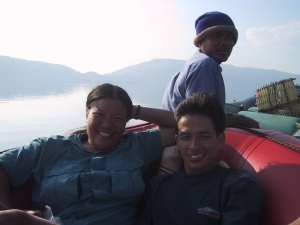 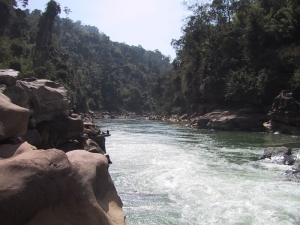 I highly, highly, highly recommend them…this trip was the most fun I’ve had in Laos. Here's a nice scenic photo of the river, that shows some of the carved river rocks. 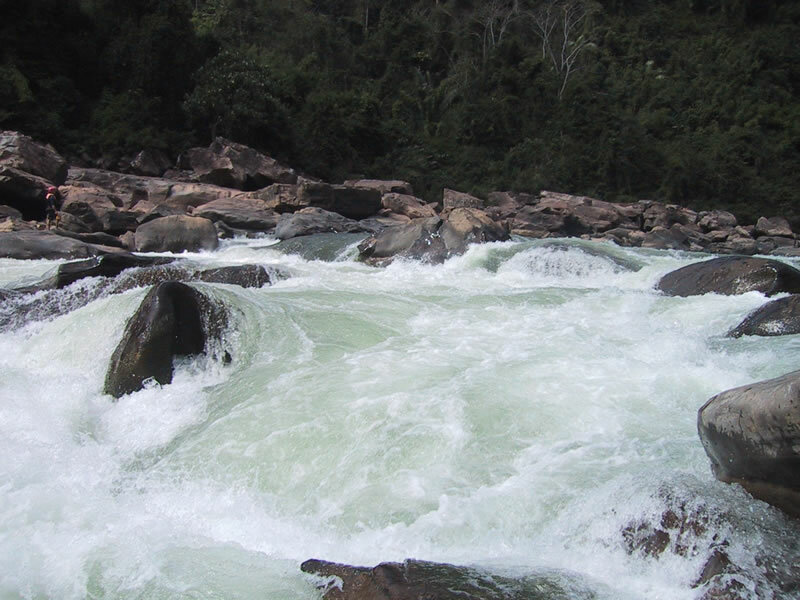 During the rainy season, the Mekong covers those rocks...running 10-30 feet higher, depending on the area. 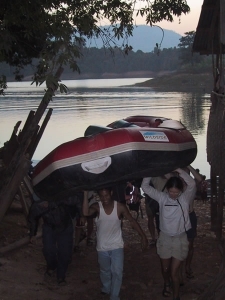 ...where we carried the raft up to the waiting tuktuk, and drove back to Vangvieng. 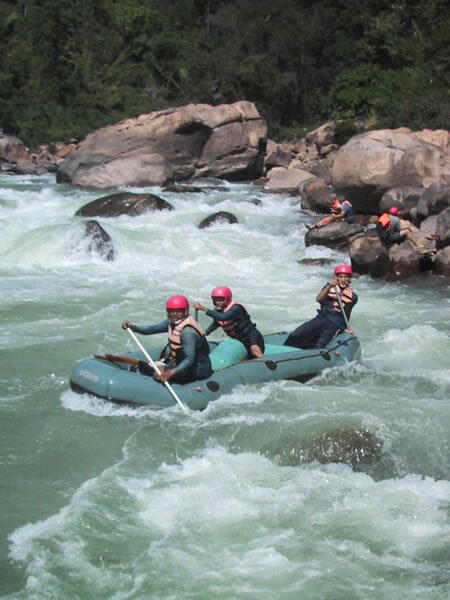 I forgot to mention that this raft didn't drain, so we had to stop and bail water with our helmets after every set of rapids. Whee!